For over a century, camping has been a summer tradition in the United States. 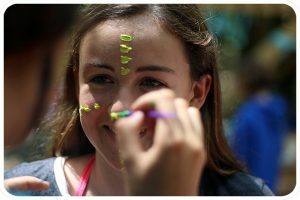 Quinebarge, founded in 1936, offers a modern summer camp program with activities such as tubing, high ropes, and laser tag, while adhering to our traditions and roots. Campers make lifelong friendships, swim in pristine Lake Kanasatka, and go home with memories to last a lifetime. In short, Quinebarge is the quintessential and best summer camp in the United States. Here at Quinebarge we aim to give each camper a traditional but unique experience. We go beyond the activities, trips, and Color Wars with Monkeytown, USA. Monkeytown dates back to the first days of Quinebarge – 1940, in fact – and is a society of our camper’s creation. Each summer, campers elect the Monkeytown Mayor (a distinct honor), earn Monkeytown Money by achieving their goals or performing good deeds, and work as cabins to sell food items and games during our Monkeytown Carnival. And when needed, the Monkeytown Bureau of Investigations is on standby to solve ‘crimes’ such as missing flags or basketballs. 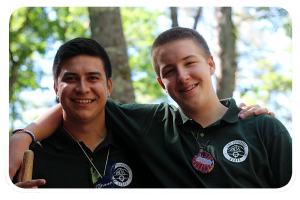 At summer camp, counselors and staff can be the difference between an okay experience and a great one. At Quinebarge, we hire professional, enthusiastic, young adults to work with our campers. 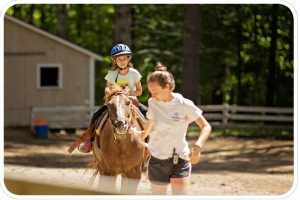 Our staff come from all over – we’ve hired from six continents over the years – and no matter where they call home, they are vetted and trained onsite to give our campers the summer of a lifetime. The mentoring and friendships between our counselors and camper are truly what make us the best summer camp in the United States. For decades, international children have flocked to Quinebarge for a taste of American culture and summertime fun. 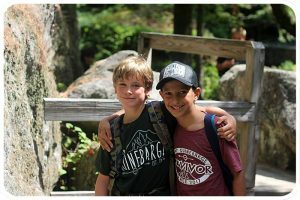 By sharing cabins, activities, and experiences, campers create bonds that cross borders and oceans – relationships that are more important than ever in a globalized world. Quinebarge offers airport transportation for campers flying into Boston Logan International Airport (BOS), or Manchester-Boston Regional Airport (MHT) for a small fee. Campers may also rent linens (sheets, pillow, blankets, towels, and sleeping bag), or book a Travel Package including airport transportation, linens, and a basic toiletry kit. Watch our Awesome Camp Video Here!